Hi peeps! Thank you so much for all the BIRTHDAY LOVE. Speaking of birthdays, I think I lived in denial about aging for a good amount of time. Then, I woke up one day, looked at my face in a close-up mirror and realized that ALL the time I spent in the sun has finally caught up with me. I am 33 and in some opinions still young, but I am pretty sure I should’ve started taking care of my skin way sooner. I have super sensitive skin, like super sensitive, so I am always nervous to try new creams, etc, because of allergic reactions, redness, etc. I’ve had some crazy reactions to products before. Hence my delay in starting this process. This post is a pretty real one for me. It’s rare for me to post a no makeup photo, let alone, numerous of them, but, hey in the sense of authenticity, this is me sans make up. And all I can think is, yes, I am thankful for concealer for my dark under eye circles and mascara for my barely there lashes! Ha. I do go around town makeup free from time to time, so why not share it here?! 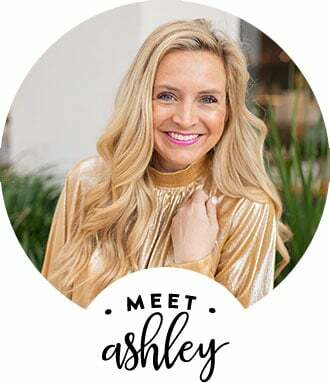 I figure I will share more about the process of how I try to slow down the process of aging and just take care of my skin in general, because it’s great to learn new options that you can try yourselves. I see a Dermatologist on a regular basis. Actually, the whole fam bam does. Besides a Pediatrician, it was one of the first doctors that we needed to find upon moving to Houston. If you’ve followed me for a while, you may remember the summer that we discovered Reagan had horrible eczema…Well, both kids have it and it’s just a part of our lives to see our fabulous doctor for any of the skin issues that we encounter and between the 3 of us, we have all had lots of random skin stuff since we moved here. Thankfully, we found the best Dermatologist in our area. So, after my realization about my aging face, In an effort to try to start the process of getting my face back in shape, I consulted my Dermatologist, Dr. Anita Gill of Gill Dermatology. She recommended a few different options of things to try and first up on the list was a HydraFacial. Now, I must admit, until now, I have only had one facial in my life that I didn’t leave feeling awful from. Like I said, I have super sensitive skin and have always left from facials, super red and in pain for the extractions. When I say red, I mean, red for days, different skin texture, etc. What a mess! 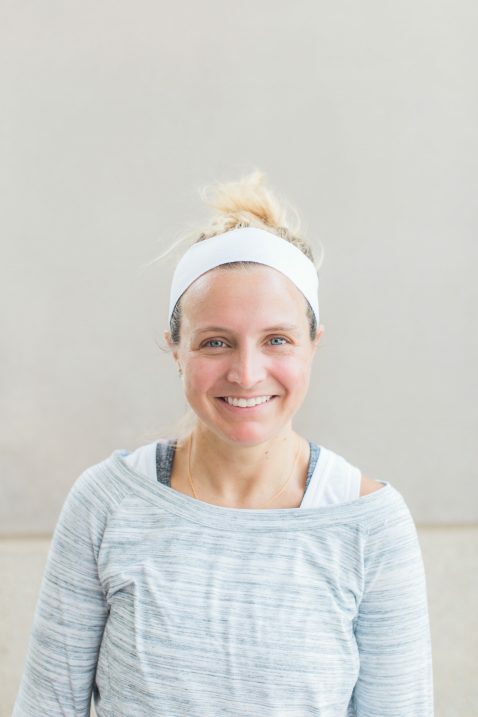 So, in turn, I was a tad reluctant to try this, but Dr. Gill assured me that it would be painless and that I would have a great outcome, so I decided to trust her and take the plunge and I am SO GLAD I did! 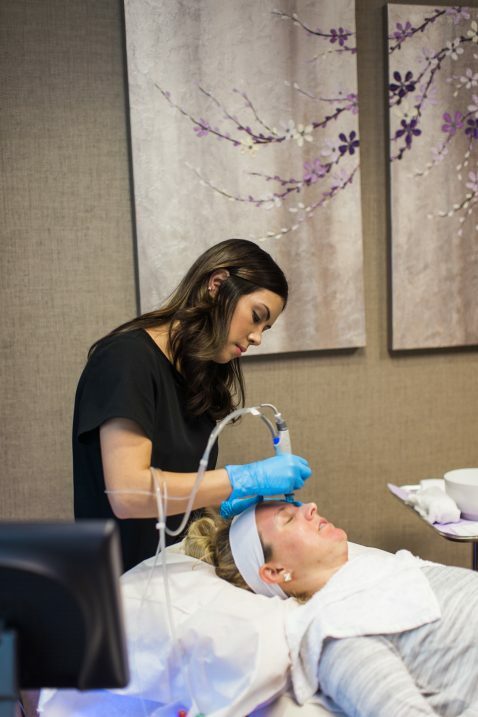 Here’s more about my experience with the HydraFacial. 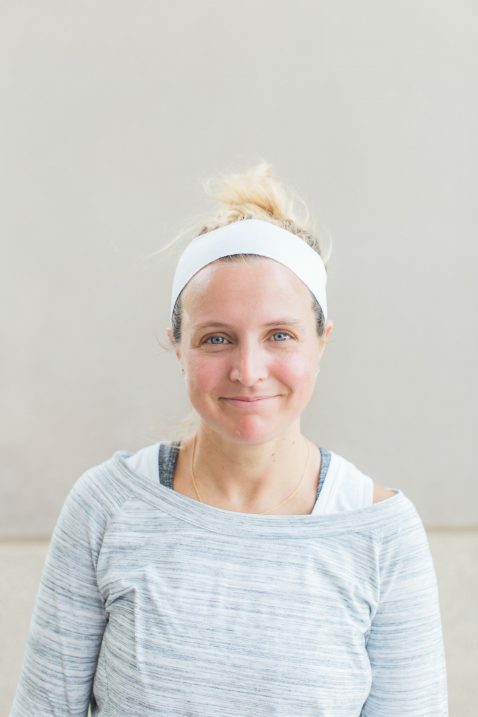 *In hindsight, I wish we had taken my before photos outside in the natural light, because as my photographer said “the fluorescent lights don’t do anyone any favors.” True that, Abbi! Ha! This is me before the facial. 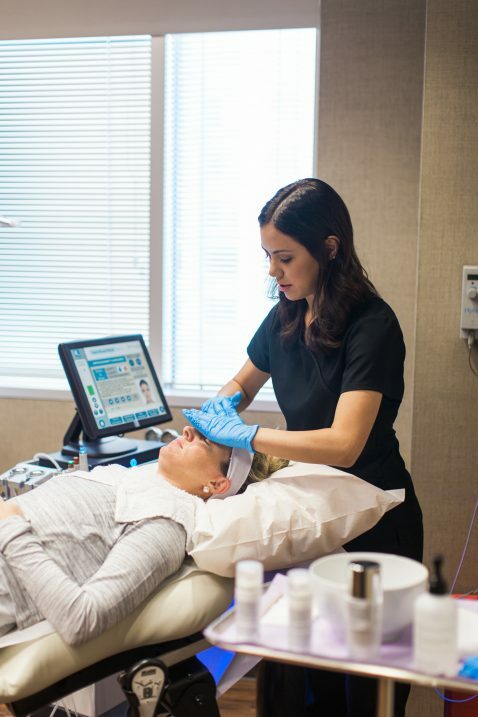 We spent a few minutes discussing all the different parts of the HydraFacial. I like to know everything about any procedure I have. It’s just my personality, I like to talk through it all! 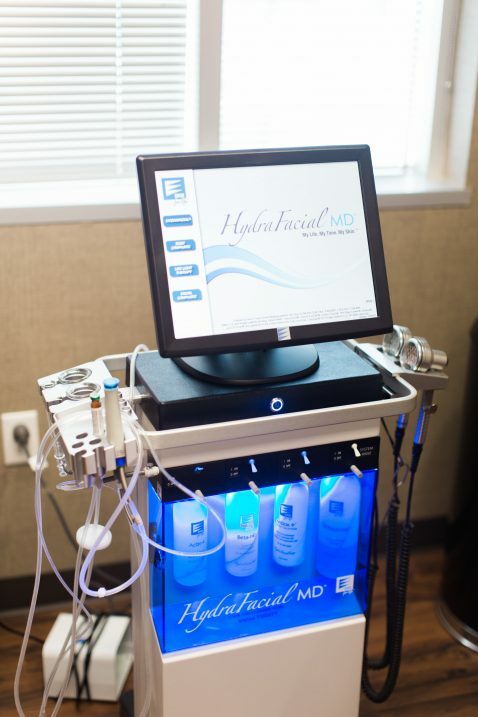 The HydraFacial is a simple 4 step process and it takes about 45 minutes to complete. Easy enough to squeeze this into any busy schedule! The aesthetician , Jessica, was fabulous. It was such a relaxing experience! She does a great job! This red light is amazing. It helps ease redness! I left with the perfect about of natural pink in my cheeks, thanks to this little light! Here is the after (we went with natural outside light for these pics). I was a tad red, but nothing serious. It was gone by the time I got home. My face felt fabulous and glowy! I went for 2 days with just concealer, mascara and a bit of blush, after this! No foundation! My skin felt and still feels great! I was pretty fascinated with the after product of what came off my face. Look how murky that water is. Proof positive that all have SO much dirt and other stuff on our faces, regardless of washing them a few times a day. I am strict about washing my face each evening. I will never go to bed with makeup on. I was pretty grossed out and amazed by this part! And happy to have that gunk removed off my face! 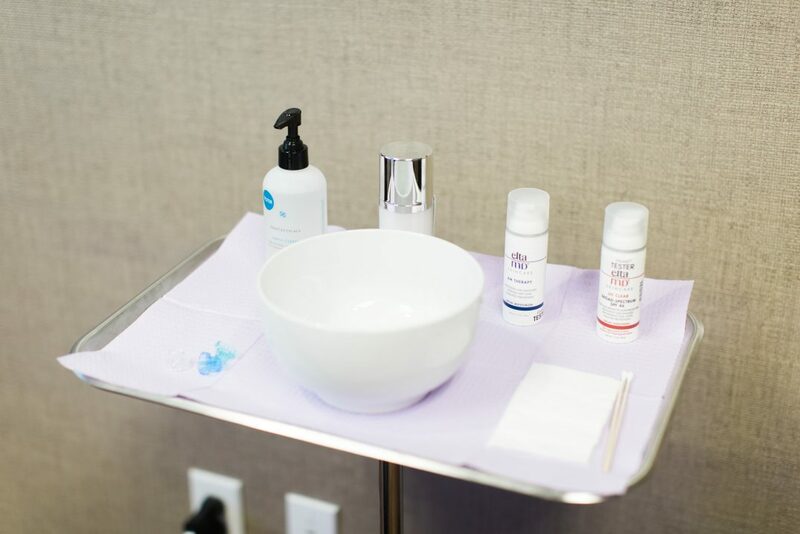 All the products they use during the facial are clear, so any colors in the water are gunk removed off the face! 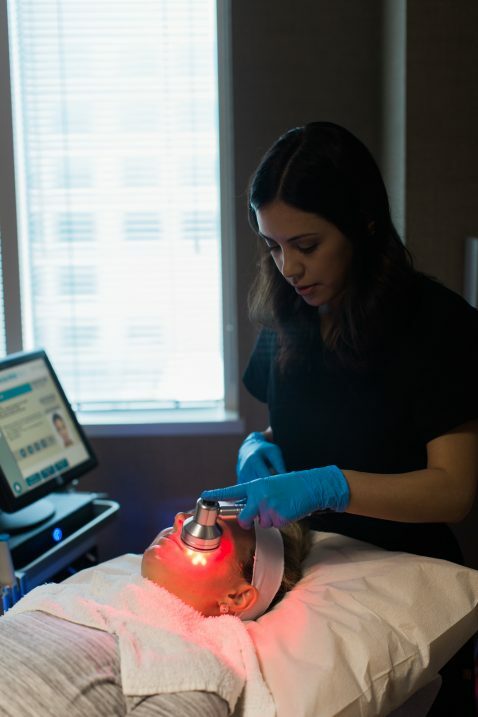 They recommend getting a HydraFacial once a month. I’m going to try and go regularly, but knowing me and my lack of time in general, I don’t know if I’ll get in there as much as recommended. But, I will sure try because I loved the outcome so much!! I seriously cannot wait to get my next one. I actually scheduled my sweet hubby for one as well! And my sister is getting one this weekend. When I love something, you know I share it and I sure loved this facial! I’ve been telling everyone I know that they NEED to get one! 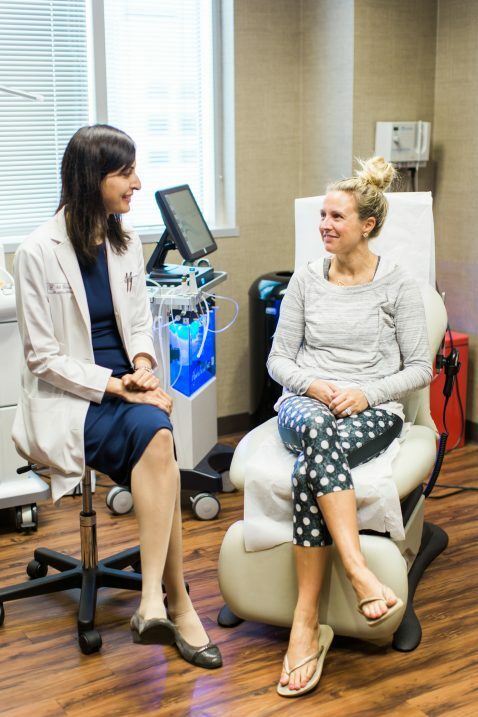 Here is a step by step of the HydraFacial and how it works in the words of my Dermatologist, Dr. Gill and my thoughts about each step. Step 1-Cleanising and Exfoliation: The first step opens your pores and removes the uppermost layer of makeup debris and dead skin cells. It feels like a spinning toothbrush on your face. Me: This is totally accurate. It was quite relaxing actually. And just to think about how much stuff it was removing off my face was pretty amazing. 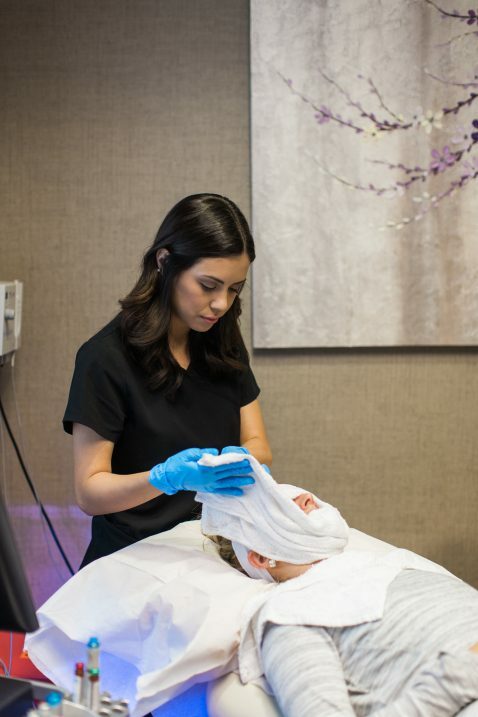 Step 2- Acid Peel: Most peels can leave your skin stinging for a few minutes until they are washed off, but this one does not! It is gentle enough to only create the faintest tingle, but will still be quite effective. Me: Again, so true. I was worried about this one. The word Acid and Peel in one sentence makes me cringe with nervousness. It did not hurt a bit. Just a minor tingle, which was barely noticeable! 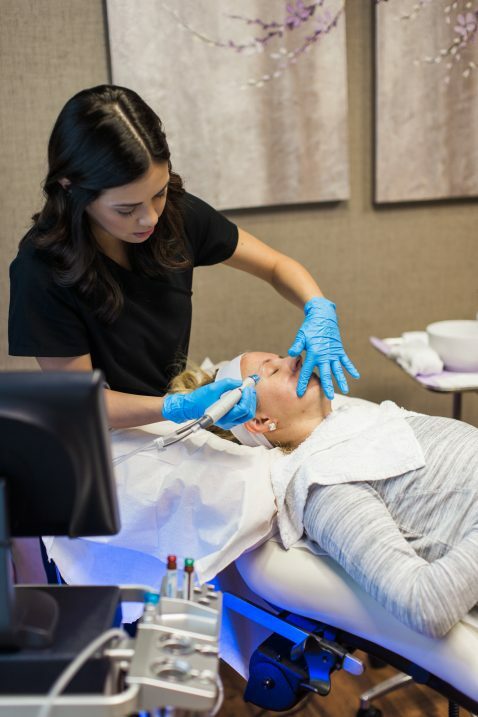 Step 3- Extractions: Instead of having manual extractions, the aesthetician will use a vortex extraction nozzle that acts as a vacuum. It is gentle and the cup at the base of the machine shows exactly what is extracted, which will be a lot more than you imagine! Me: Remember my cup of murky water! Yep, that is from this part! This did not hurt one bit. 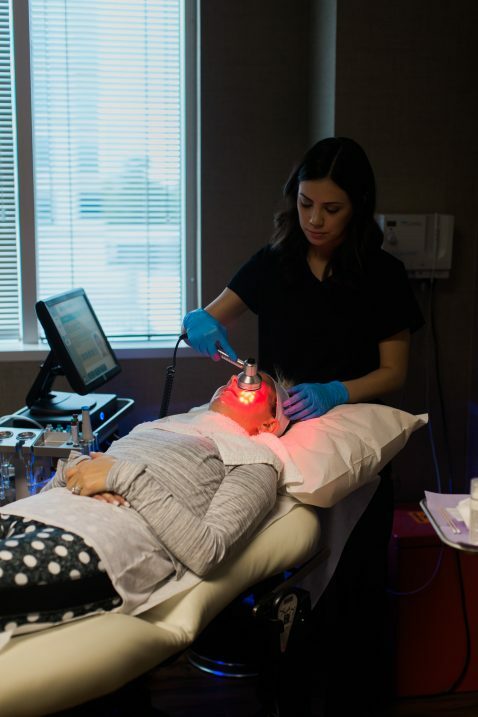 Extractions are the main reason that I have never been a fan of facials until now. They typically hurt and I am not a fan of pain like that! Ouch. This was pain-free and so awesome to get all the gunk removed from my face! 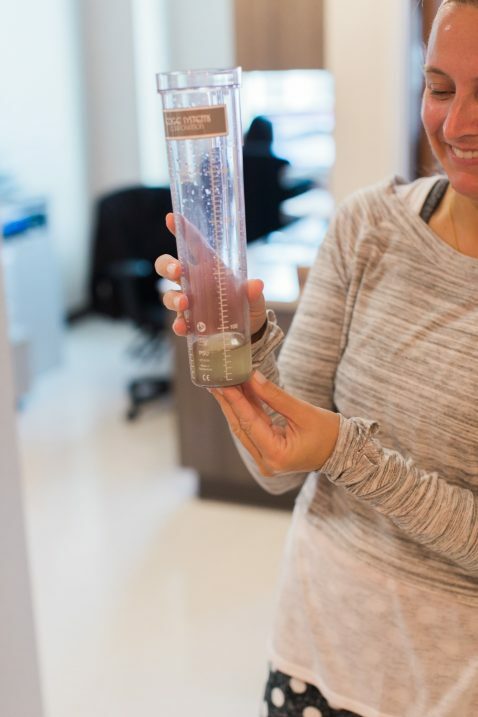 Step 4- Hydration: This part also uses the vortex technology to infuse a liberal application of a serum rich in antioxidants, peptides and hyaluronic acid- which is designed to main results and give skin the immediate healthy glow! Me: I can totally attest to this! My skin was glowing and still is, days later! I loved this aspect. A glowing face is always a daily goal for me! 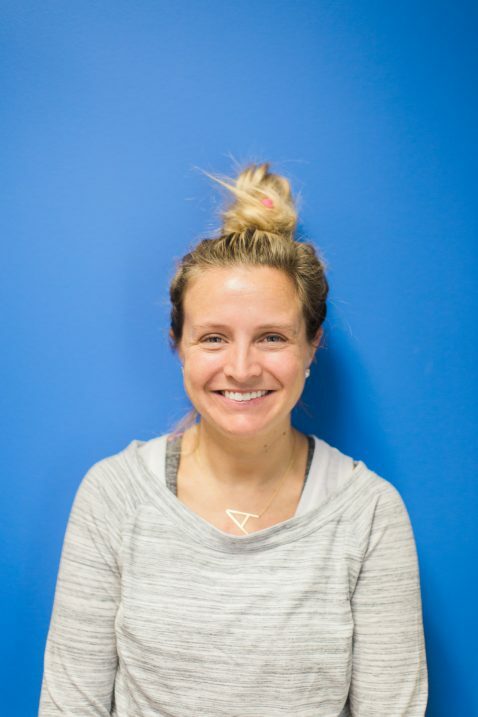 If you are in the area and need a dermatologist and/or want to schedule your own HydraFacial, head HERE to Gill Dermatology’s website and see all their info! And if you go see her, tell her I sent you!! I had one last November and it was amazing! Can you tell me how much it costs?? Super interested!! Hi Kaley- I believe it will depend on where you get it done. They range between 140-180 or more, just depending on what type of place you receive the facial. If you are local, my place charges $150. Hope that helps! Looks like fun! I looked into them in Iowa(where I live) and no one really have a price online. How much did it cost you?! I’m obsessed with Hydrofacials. I’ve been seeing my esthetician religiously for almost a year. She put me on a regime to slow down time on my 31 year old skin. I cleanse, then alternate nights with Retinol(I started at the lowest percentage) and a gentle exfoliant cream, eye cream and moisturizer. Skin Medica has been a great brand for my skin. I go every 8 weeks for a Hydrofacial. I’ve seen such a difference and so have others. Oh and sunscreen, sunscreen, sunscreen!